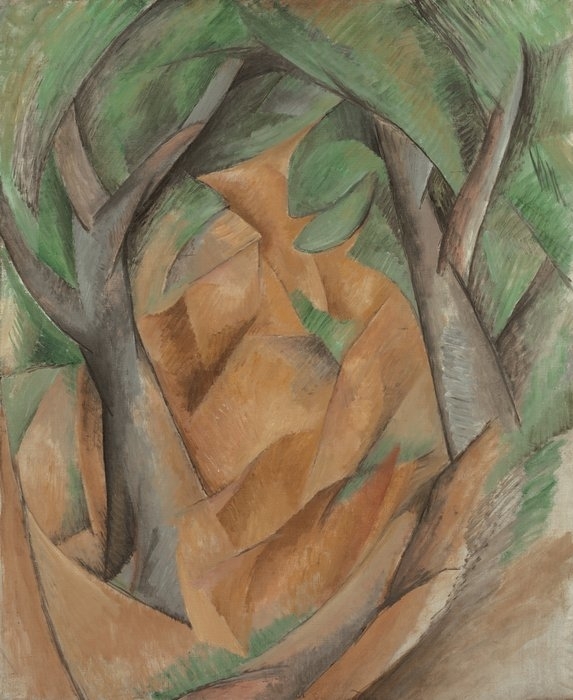 This picture is one of the highlights of a series of landscape compositions that Braque painted at l’Estaque in 1908, works which are regarded as the first examples of early Cubist paintings. 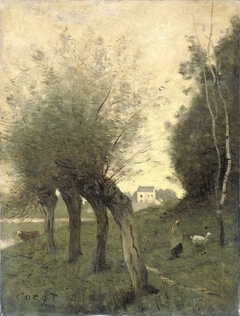 The colour scheme is restricted to a simple palette of ochre, green, and grey applied with dense, uniform brushstrokes. 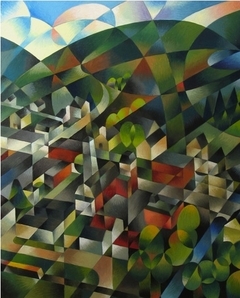 The motif itself is also strongly simplified. 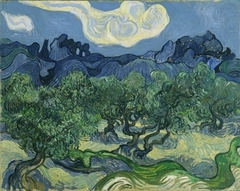 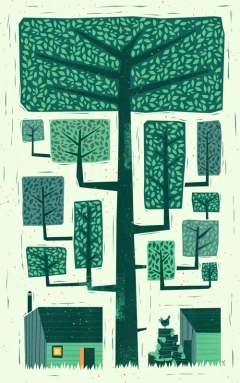 Two stylised trees, their crowns intertwining at the top, make up the main motif, while the contours of a house can be glimpsed in the centre of the composition. 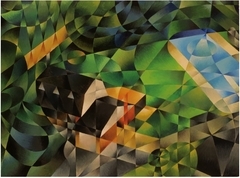 Each element has been reduced to geometric shapes that merge with each other to suggest space and volume, but which are also retained as structures within the reality of the picture plane. 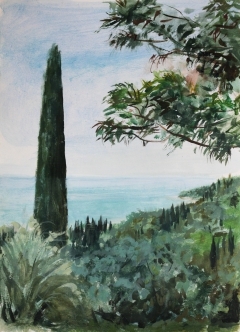 The sky is nowhere to be seen, a fact that counteracts the spatial effect. 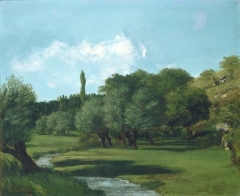 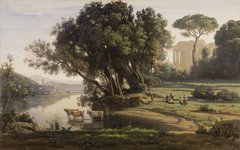 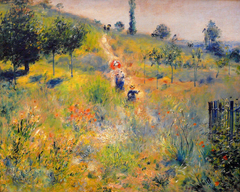 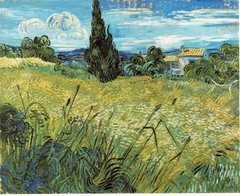 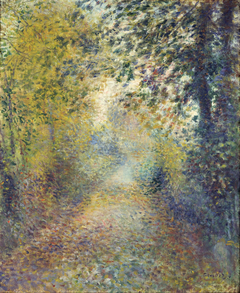 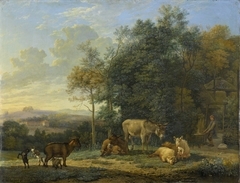 Thus, the picture’s main theme has little to do with the landscape motif. 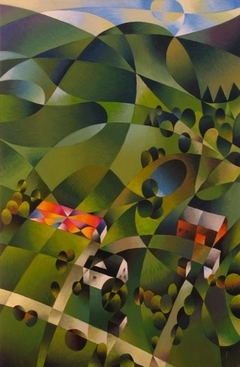 Rather, the main theme is the issue of how to link the planes of a picture and how to create a feeling of space without denying that the picture is in fact a flat construction. 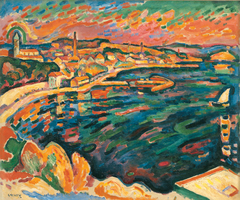 It was Paul Cézanne’s (1839-1906) art that led Braque to pursue intellectually infused painting; painting that was as much a logical construct as a visual one. 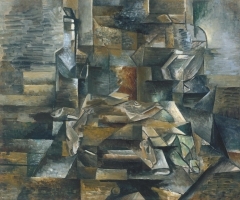 Later, in 1908, Braque initiated a dialogue with Pablo Picasso (1881-1973) that would continue up until 1914, taking Cubism through several new stages.